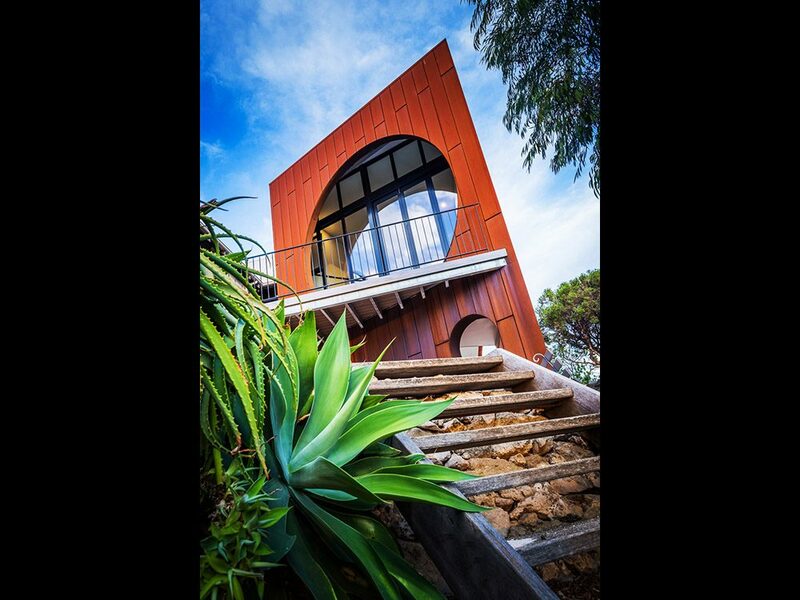 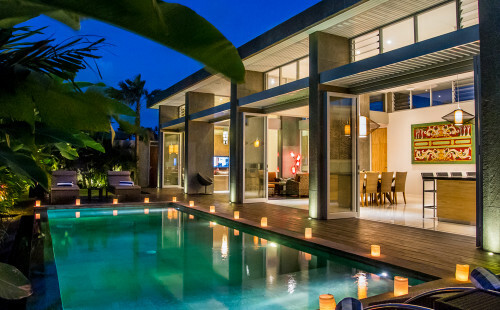 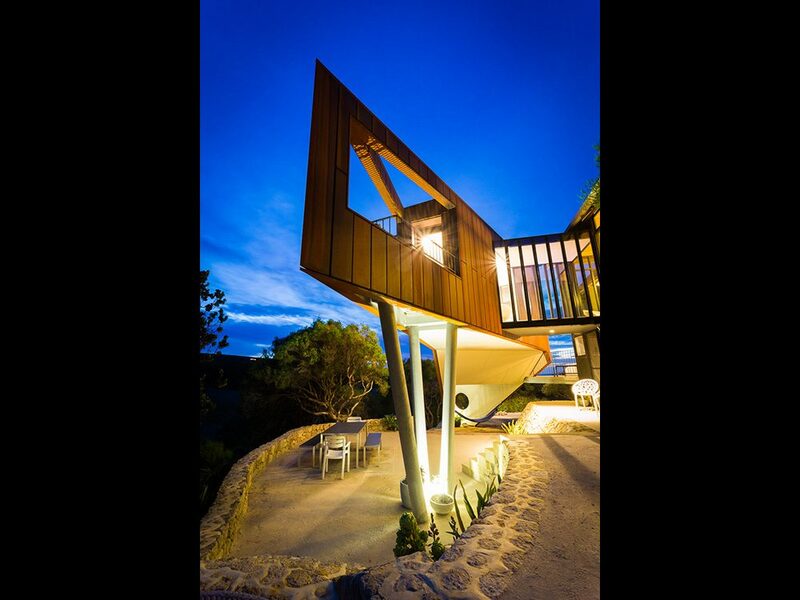 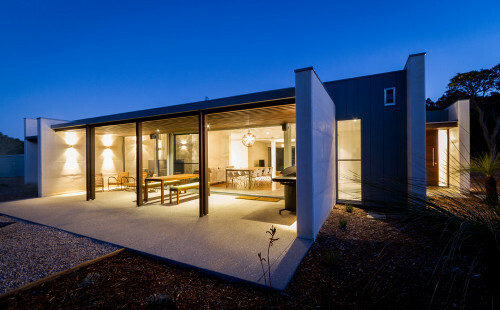 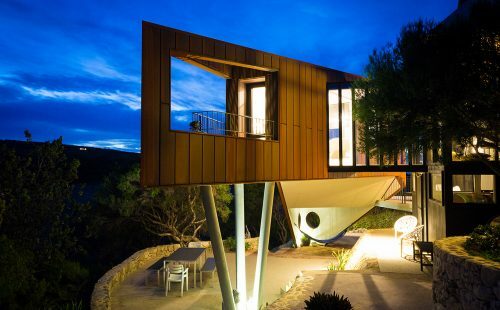 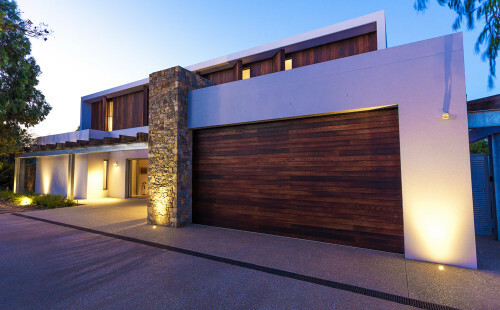 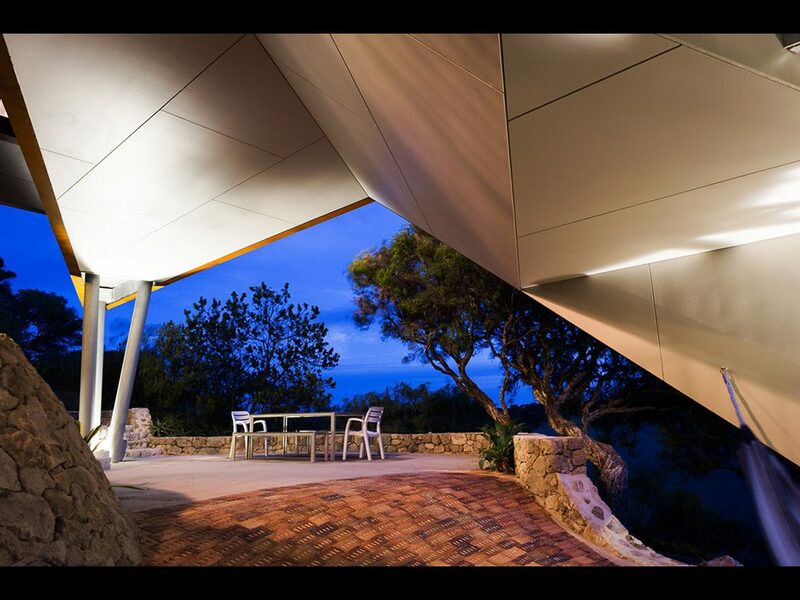 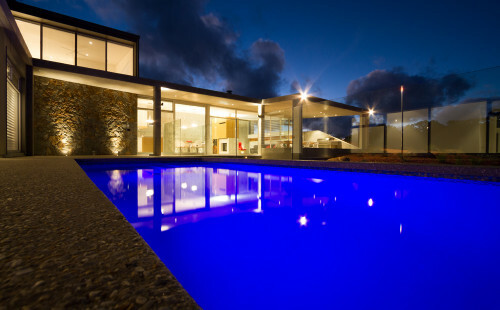 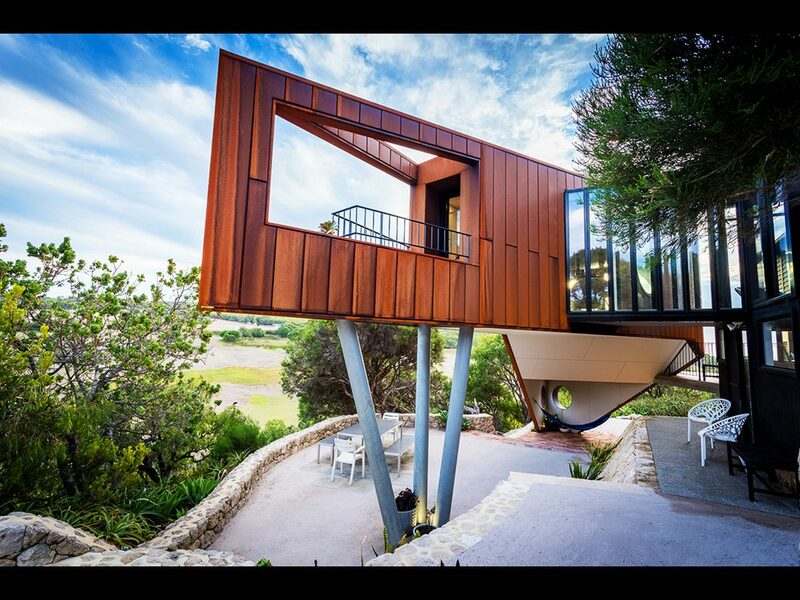 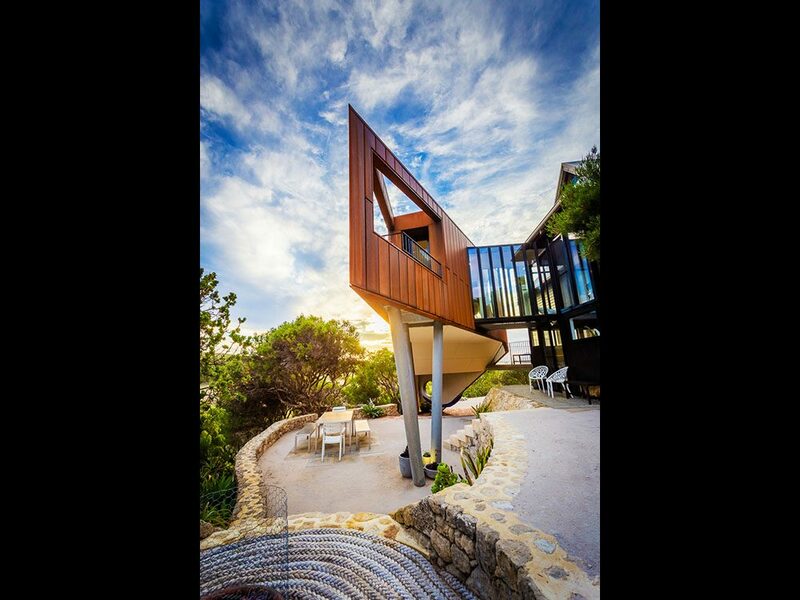 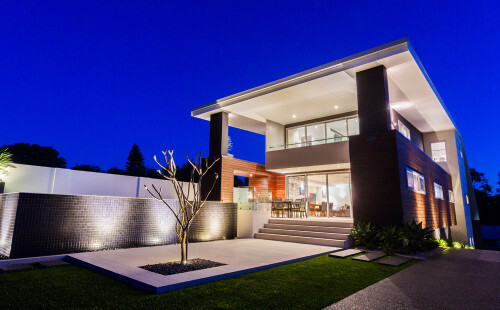 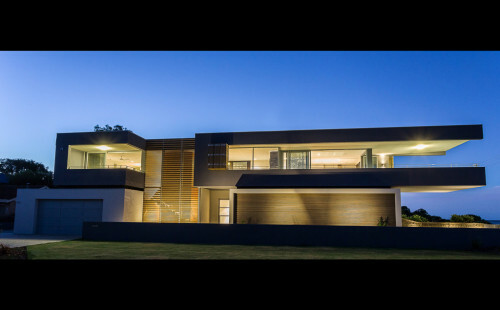 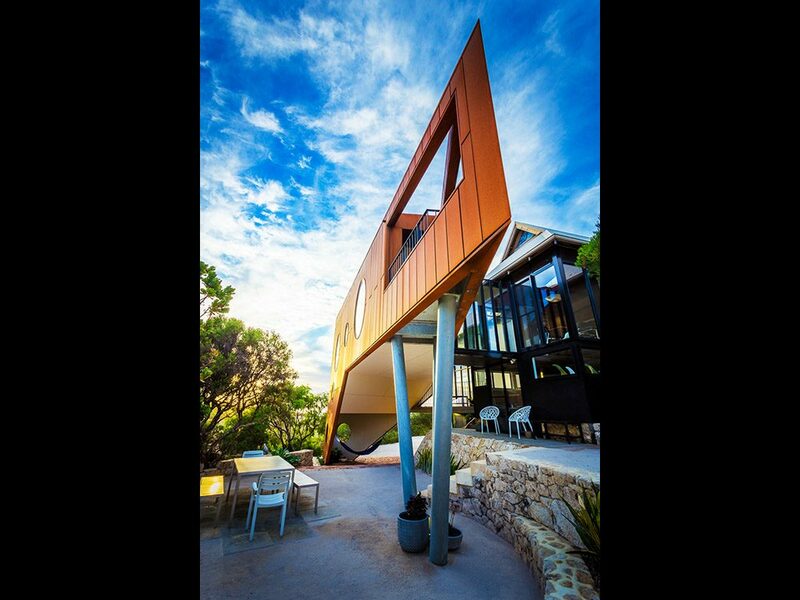 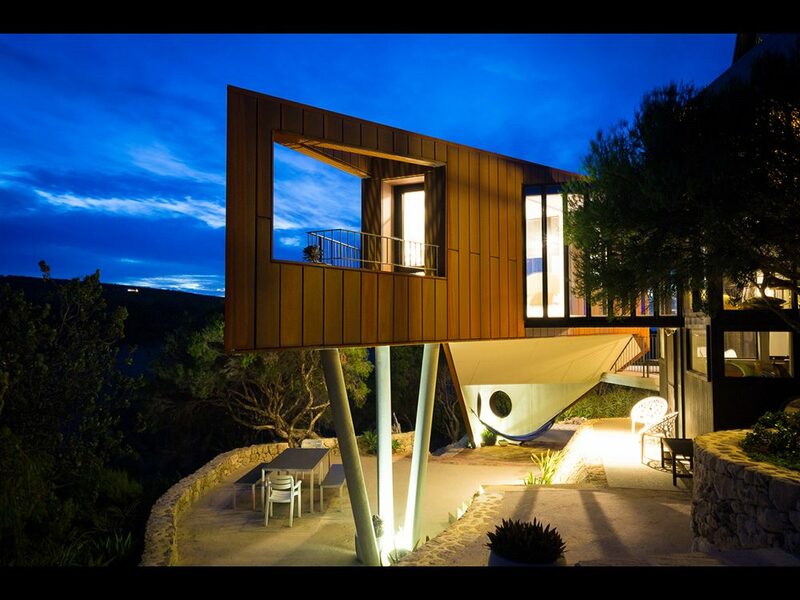 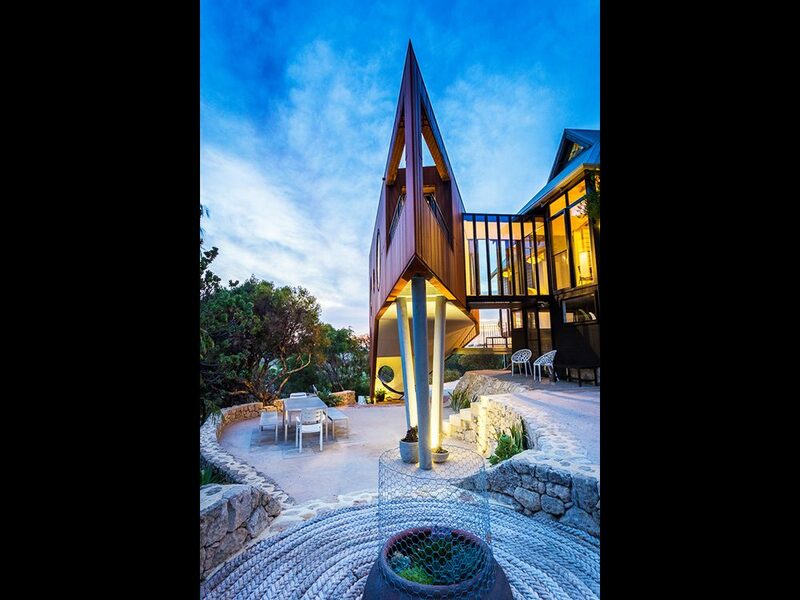 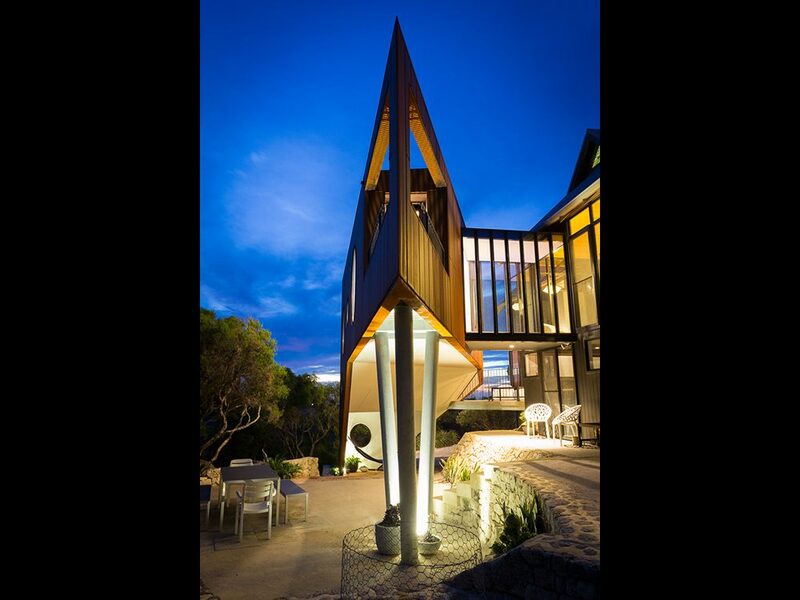 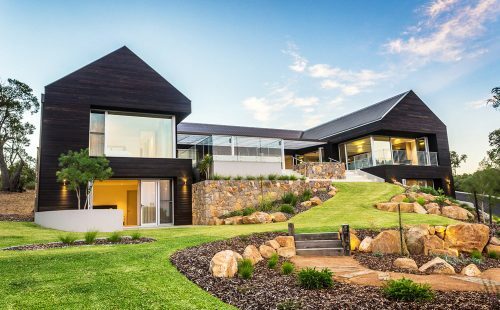 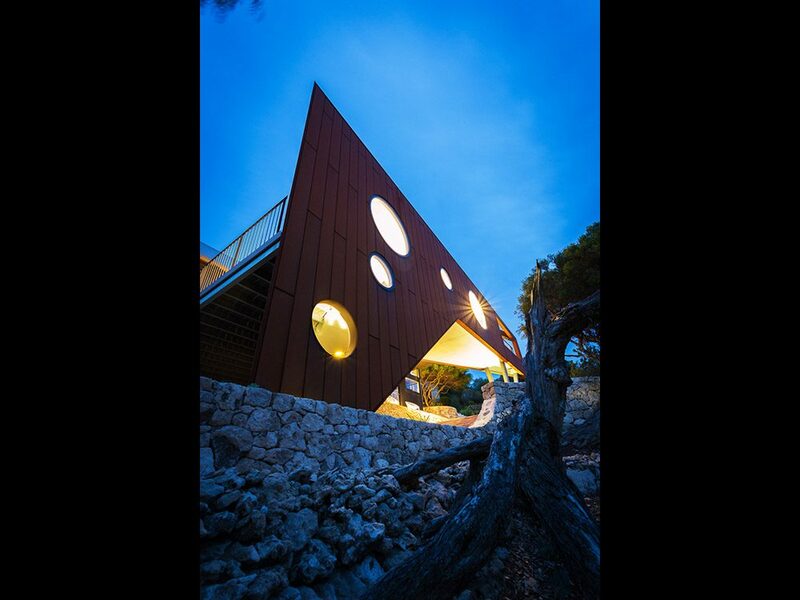 A striking angular form in stark contrast to the soft landscaping and traditional style of the existing home. 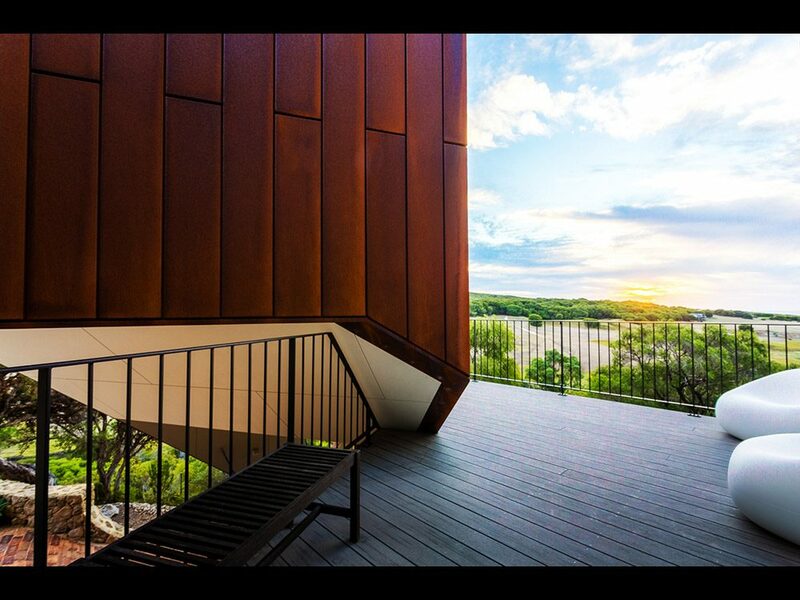 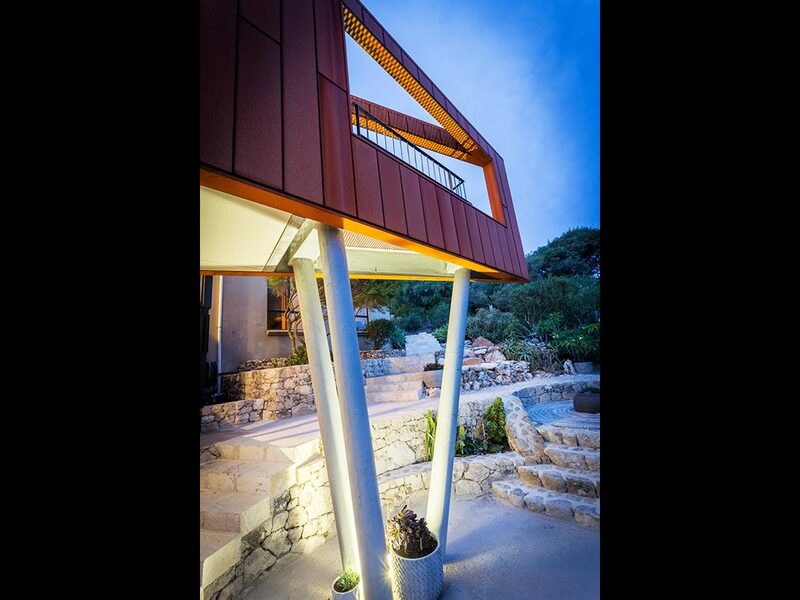 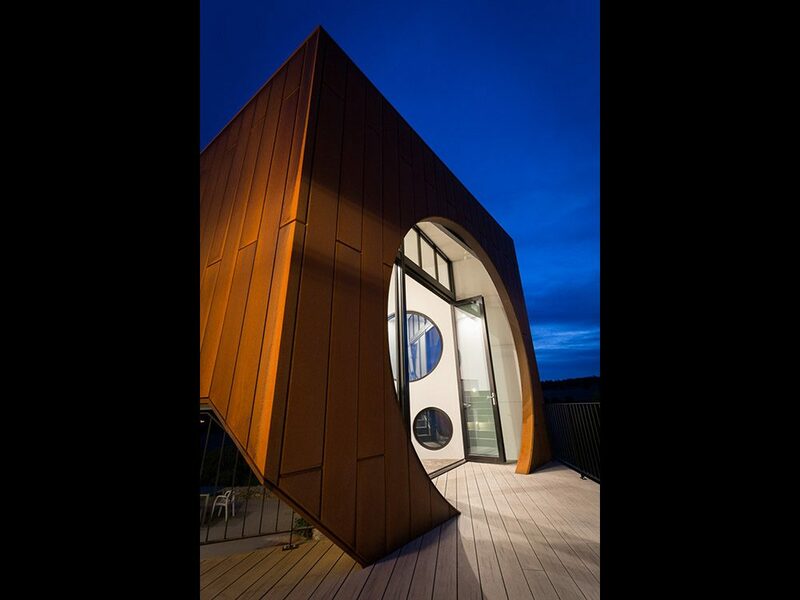 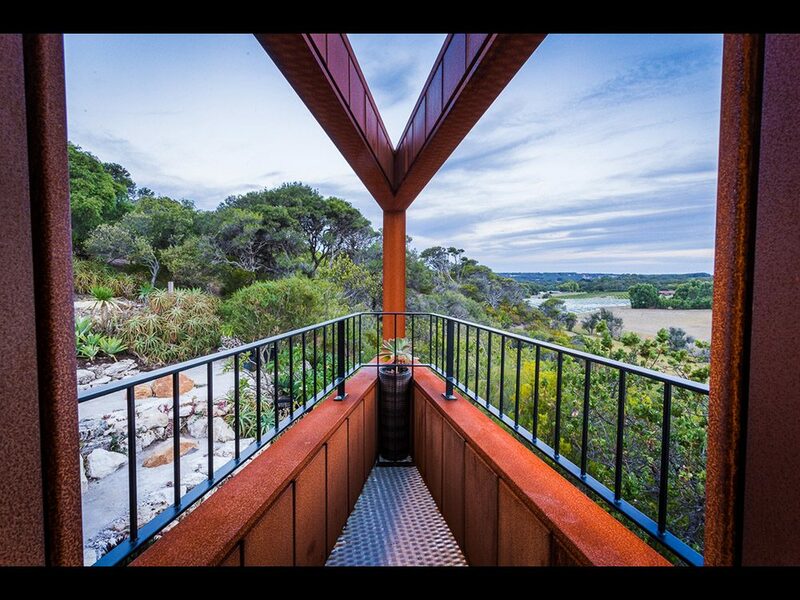 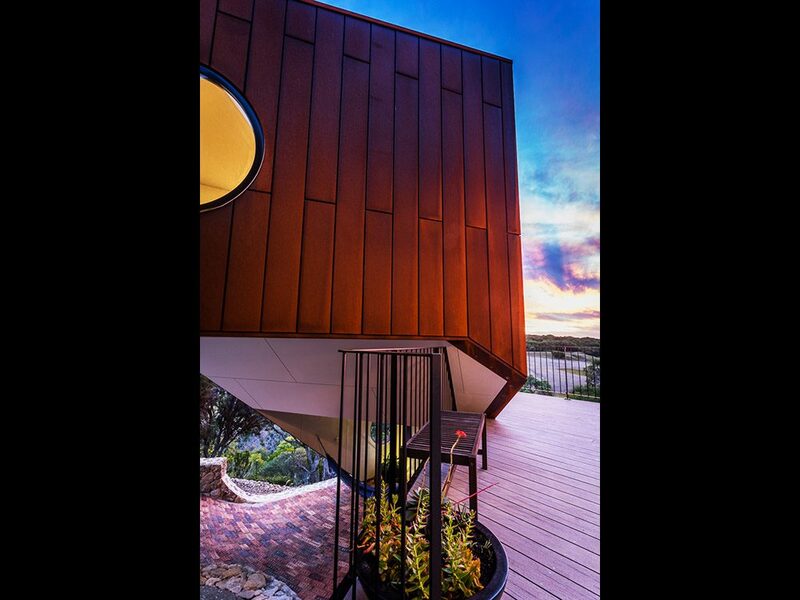 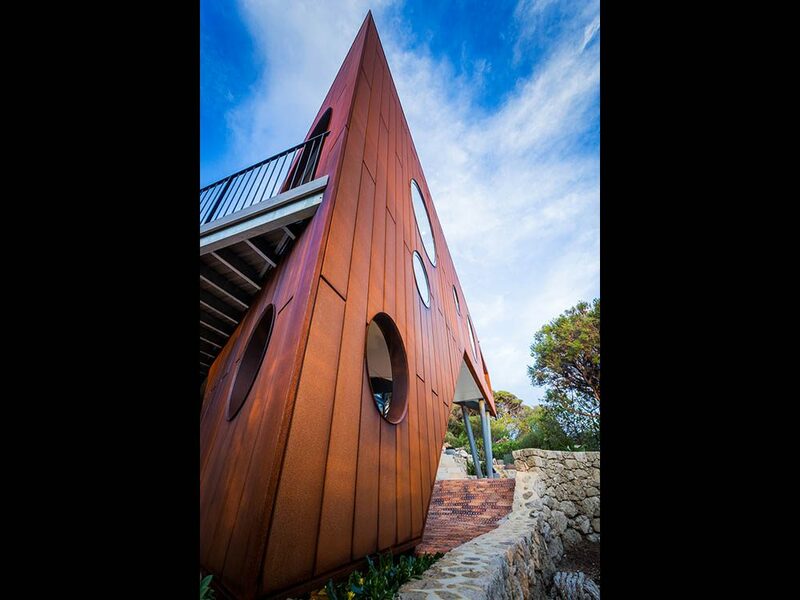 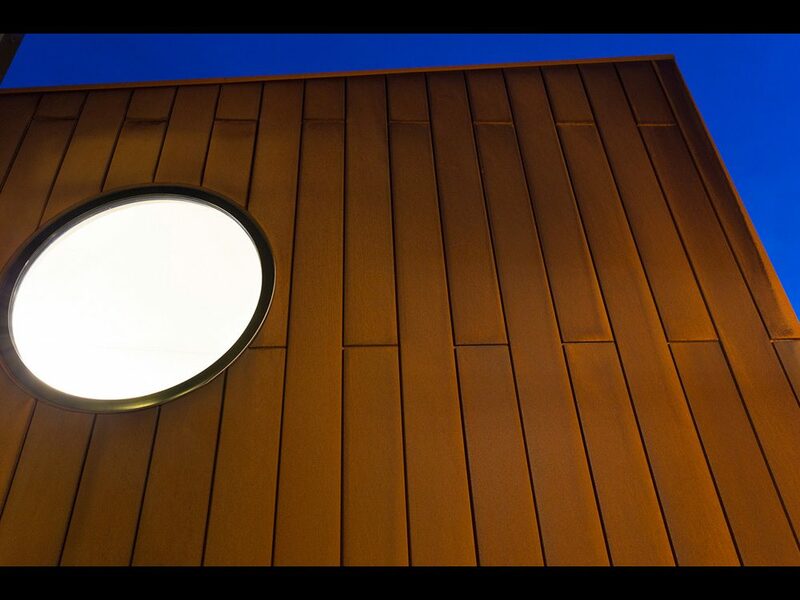 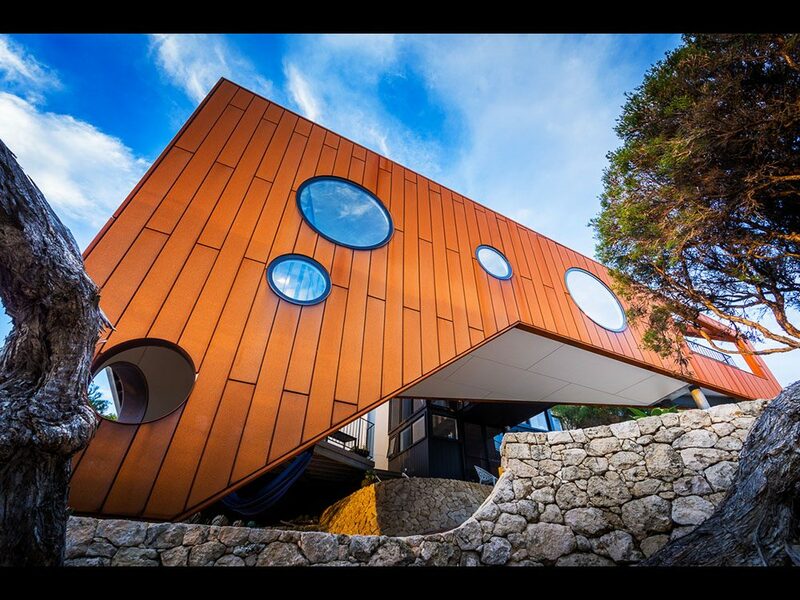 The exterior skin wrapped in corten steel that will change colour with the seasons and age. 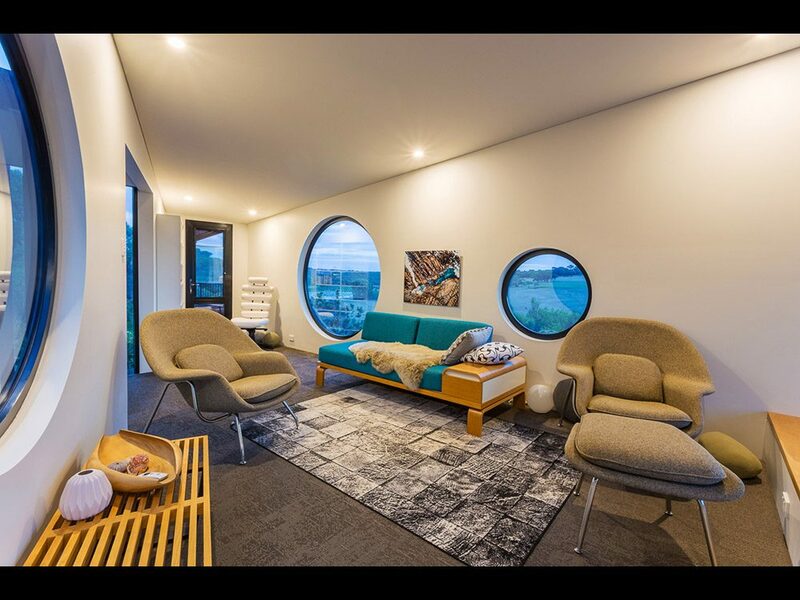 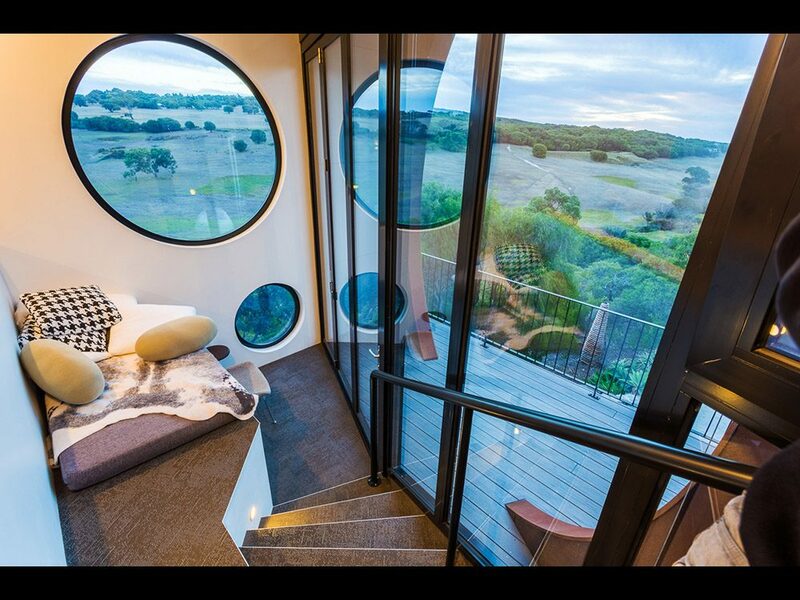 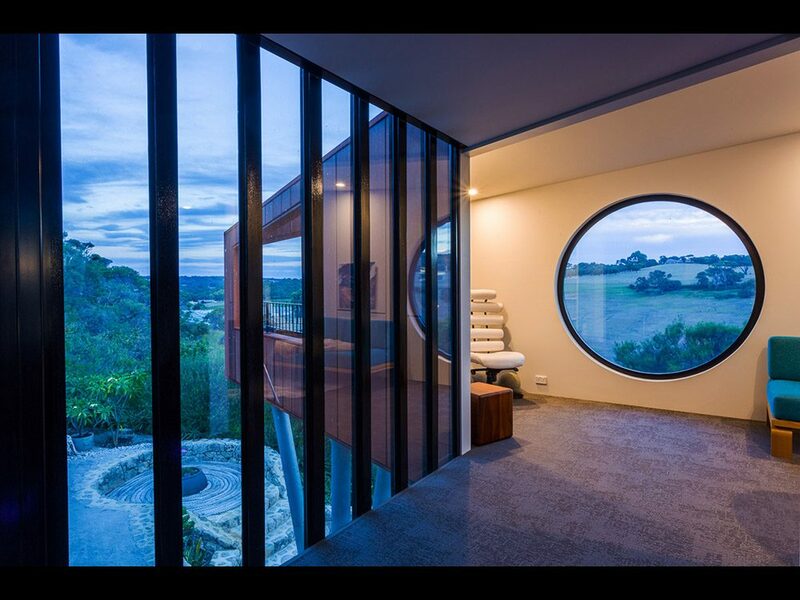 Specific views framed by porthole windows. 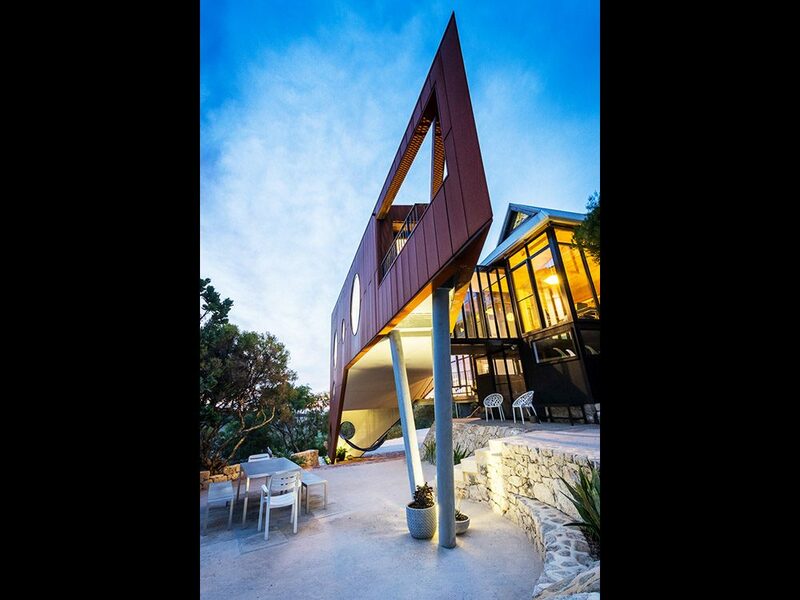 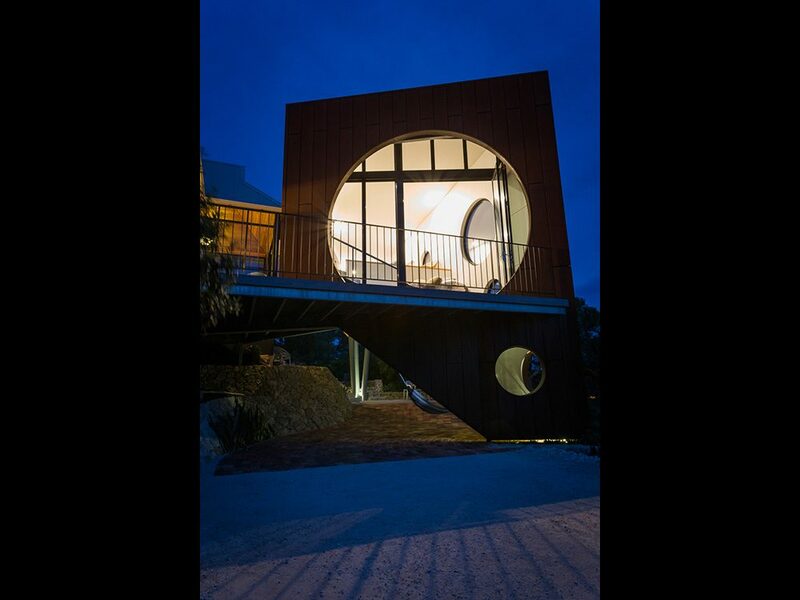 The whole structure balanced on skewed columns, all adding to the interest and complexity of this addition.